The CTR-22C is a 39-passenger derivative of the V-22. This aircraft uses the V-22 wing and propulsion system with a new pressurized fuselage. Engines are two 6805shp Allison T406s. The CTR-22D was developed to evaluate higher capacity and more efficient fuselage cross-section. 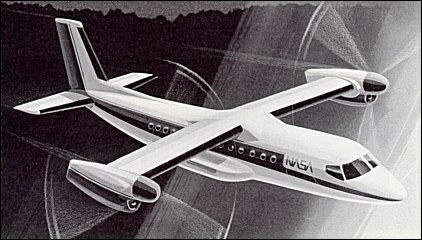 It expands the CTR-22C's three-abreast fuselage to four-abreast to hold 52 passengers. Engines would be two growth 7312shp Allison T406s. Fully loaded, the CTR-22D's design range is 520km. With increased gross weight and approximately 15% increased engine thrust, the 1100km requirement could be met with 52 passengers.